As summer breaks in NYC (finally!) 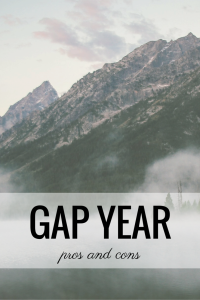 I’m fielding questions about taking a gap year. For many clients it depends on their ability to afford a gap year post college. Any time is a great time to put yourself in the work market if you know what you want (when you’re that young). There’s no harm experimenting with other non-work things directly after high school or college if you have a good reason to do so. Open up a business – sure! Volunteer in Developing World – okay (but see pitfalls below)! Help a family member mend after a fall / through an illness – okay, but supplement it with something applicable to your career dreams. Develop new skill set applicable to the industry you are entering, broaden your network in that industry, and or broaden your perspective on challenges with and around it – all before you commit to one company. For example, you can volunteer in Guatemala. If you’re interested in affordable medical care, volunteering for a medical services company, the health and human services branch of the government, or a legal aid group that supports care, etc. are all appropriate, but volunteering for a burgeoning scuba company is not. If you’re interested in running your own company, working for a burgeoning scuba company becomes far more legit. You won’t be 100% correct about how your career path will develop. Just be methodical in the choices you make. The path you choose should make some sense to a reasonable adult once you get back to reality. It’s okay to change your mind about a field once you’ve investigated it. Try and fail quickly. Decide where to invest your time and energies professionally so you can begin to build a long, productive career. Many students waste the gap year with frivolous service projects that don’t require much time, effort, or problem solving such as hosting a gala for your local country club’s 67th annual auction. That takes relatively little effort given that it is establish and the variables won’t change much year-to-year. It shows no real ambition except to stay close to home and involved with the same people you’ve been around for years. You may meet someone who can hire you, but they’re more likely to hire you as a prelude to marrying you off, because the skills you’re developing are sub par. Compare that to your peer who is developing the target art collection list for The Cincinnati Museum of Art’s Medieval Exhibition. It all comes down to your choices. Are you playing your best self or are you phoning it in? Ask Kate: How Should I prepare for my Next GMAT Exam Retake?